Qualcomm‘s shares were little changed Wednesday afternoon despite the wireless pioneer reporting a nearly $6 billion loss due to foreign fines and changes in federal tax laws. The San Diego-based company’s results exceeded Wall Street’s expectations as it prepares for a proxy battle with Broadcom for ownership. Shares were down less than 50 cents from Wednesday’s $68.38 close in after-hours trading. well as continued strength in 3G/4G handset (average selling prices),” said Steve Mollenkopf, CEO of Qualcomm. The company reported a net loss of $5.95 billion, or $4.03 a share, in its first fiscal quarter ended Dec. 24, compared with net income $682 million, or 46 cents a share, a year ago. Revenue increased to $6.07 billion from $6.0 billion. The results included a $6 billion charge in connection with a repatriation tax in the recently passed U.S. tax law, a $1.2 billion fine from the European Commission, a $868 million Korea Fair Trade Commission fine, and $778 million Taiwan Fair Trade Commission fine. Despite the loss, Qualcomm reported an 11 percent increase in operating cash flow to $1.8 billion for the quarter, and Mollenkopf expressed confidence in the future. 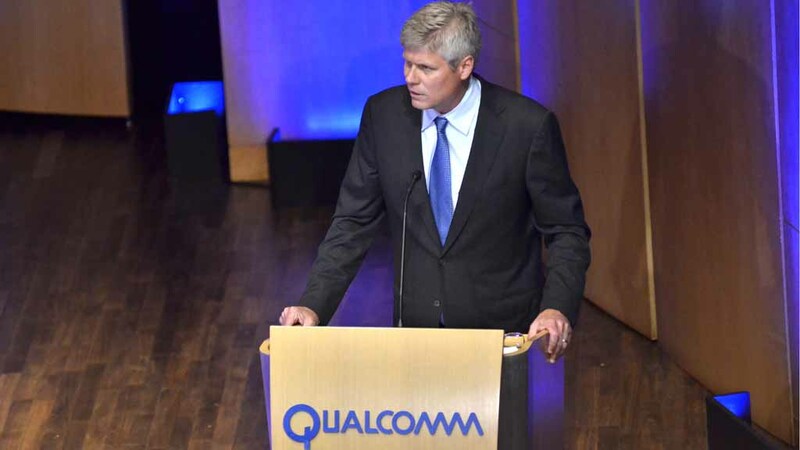 “We recently detailed our roadmap for value creation, outlining the significant growth potential for Qualcomm as we enter the 5G world and our products and technologies expand into attractive new markets,” he said.